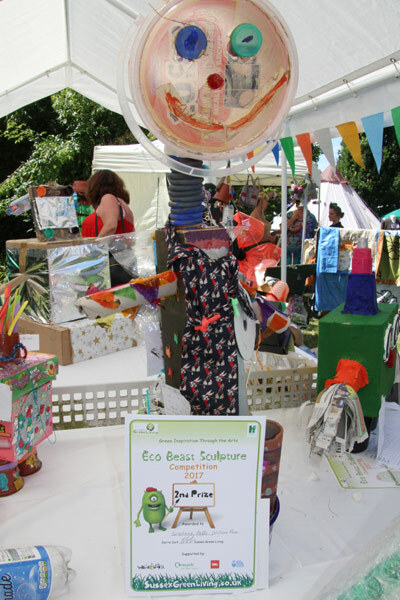 Eco Beast Sculptures migrated from across West Sussex and took over a marquee in Horsham Park at ‘Funday Sunday’ on Sunday 9th July. 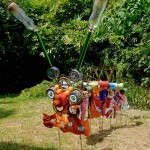 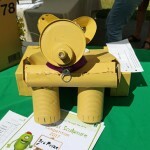 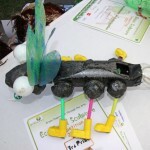 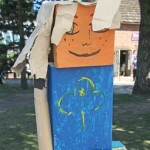 Children from all over the county had wonderful fun making Eco Beast Sculptures out of waste resources. 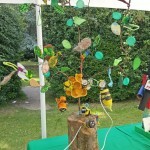 The best sculptures from schools and children’s uniformed groups formed a stunning public exhibition at this family event. 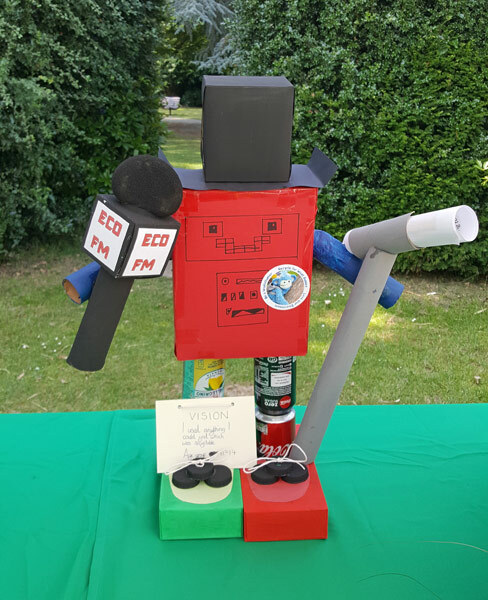 Carrie Cort from Sussex Green Living, Paul Bellringer, founder of Horsham Festival and Rachel Carruthers from the WSCC Waste Prevention Team developed this exciting new competition. 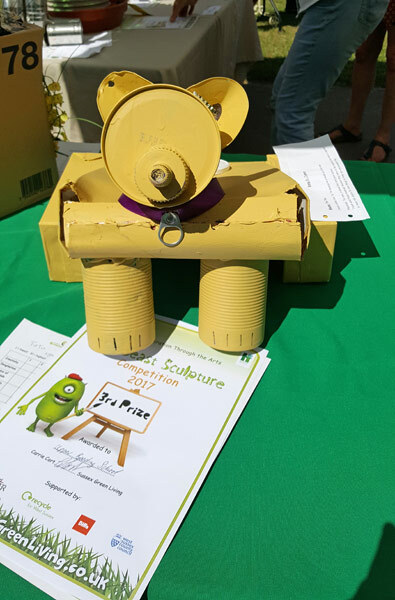 Rachel says ‘We were delighted by the enthusiasm of schools and children who participated in this county-wide upcycling competition”. 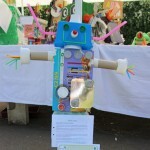 She continued “The children have demonstrated beautifully the value of what many call rubbish, they have shown that cardboard kitchen rolls, boxes, aluminum cans, in fact any recyclable or non recyclable material are valuable art resources”. 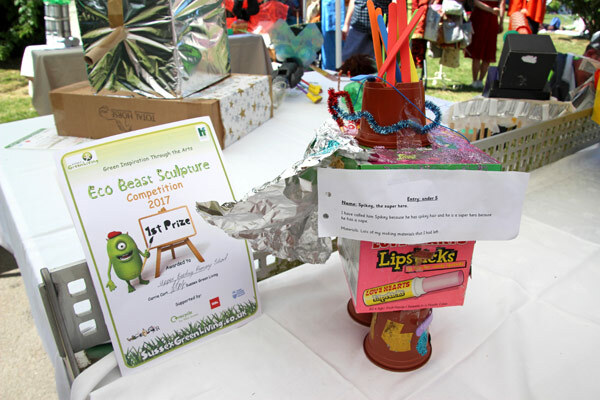 The Eco Leader from Upper Beeding Primary School was overjoyed to learn her school had won 1st, 2nd and 3rd in three of the age categories, she said “We are delighted to have taken part in the Eco Beast Competition. 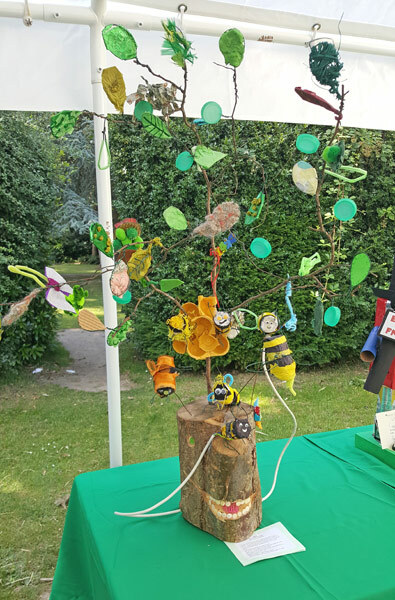 All the children at Upper Beeding Primary got behind the event and produced 22 stunning eco models made out of waste resources”. 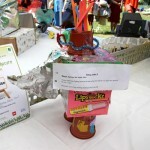 She added “We had to choose the best three and were over the moon to learn that they had all won awards. 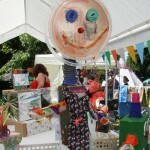 The children are so pleased and look forward to entering again next year”. 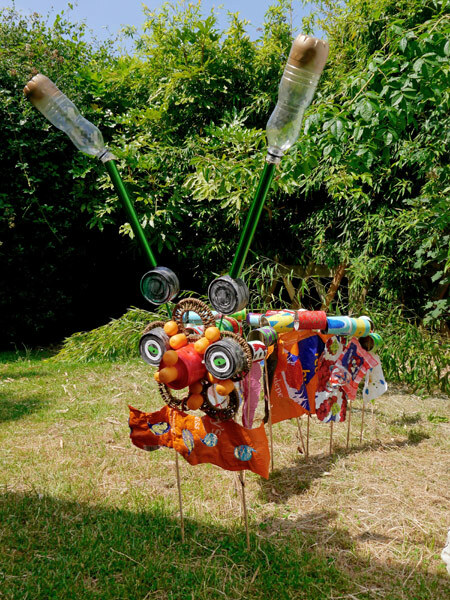 Carrie commented “I trained as a WSCC Waste Prevention Advisor in 2012; since then I have shared the knowledge gained from this fantastic volunteer programme through assemblies and workshops in schools, sessions with children’s groups and talks to adults. 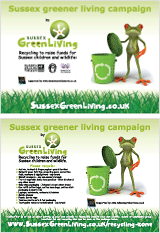 The Waste Prevention Advisor training is delivered by Brighton University, as an online course and available free to anyone keen to help communicate more sustainable living”. 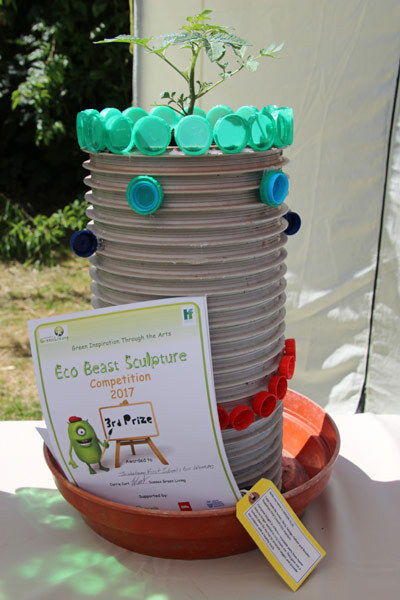 One of the people behind the Eco Beast Sculpture Competition and founder of Horsham Festival – Paul Bellringer – closed by saying “We wanted to show people that these waste resources make wonderful free art resources, instilling a mentality ‘think before you throw’ ”. 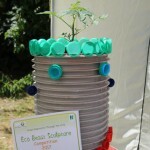 The plan is to make this ‘Green Inspiration Through the Arts’ an annual competition and public exhibition in West Sussex. 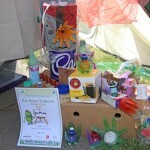 Learn about the prize winning assemblies and green art workshops here. 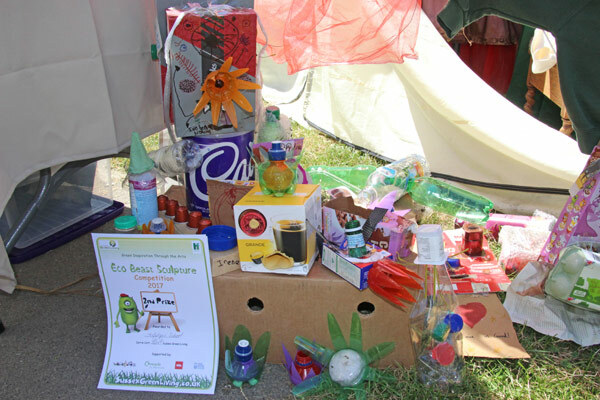 We plan to run a similar competition for children in West Sussex next year, for more information contact Carrie Cort on 07768 212833 cort@sussexgreenliving.co.uk. 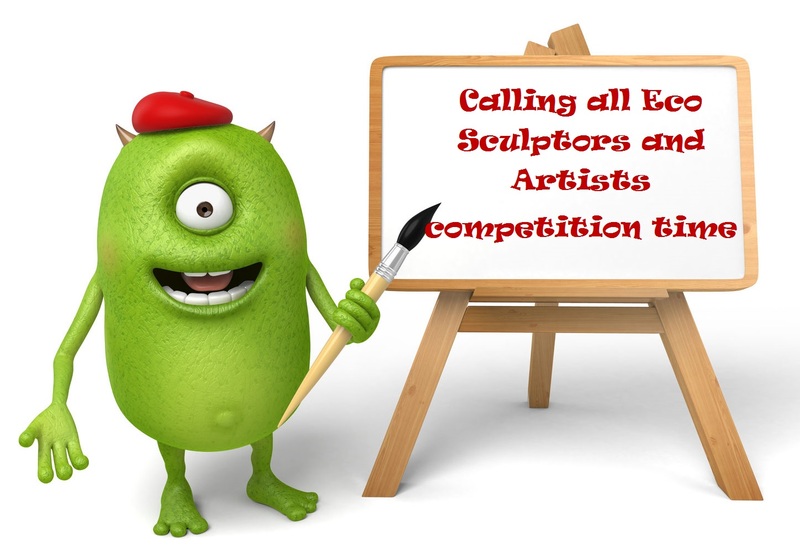 Learn more about the Eco Beast Sculpture competition here http://www.sussexgreenliving.co.uk/2017/02/exciting-county-wide-competition-for-children/. 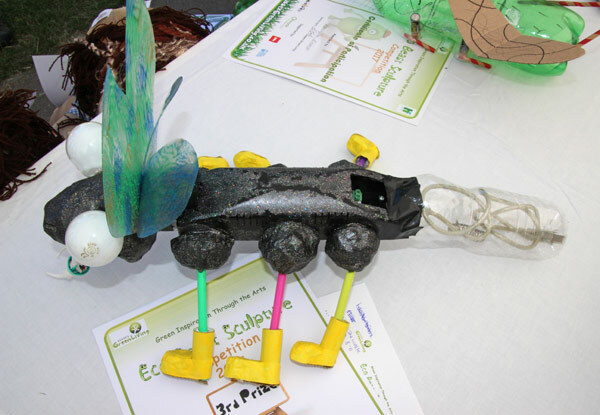 We have just launched a Sustainable School Solutions programme for schools called ‘The Future We Want – LESS C02′. 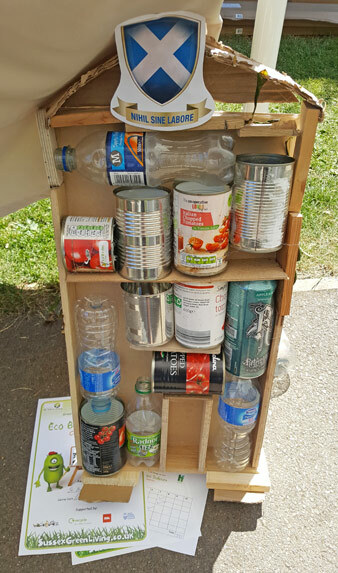 Offering free workshops for school staff to help them reduce their energy and save money, assemblies and lessons for the children and ways to raise money and help reduce C02, learn more here. 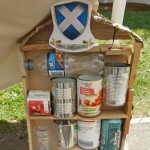 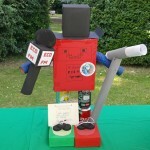 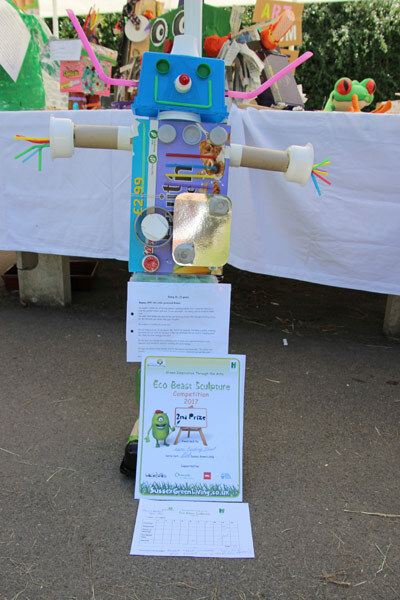 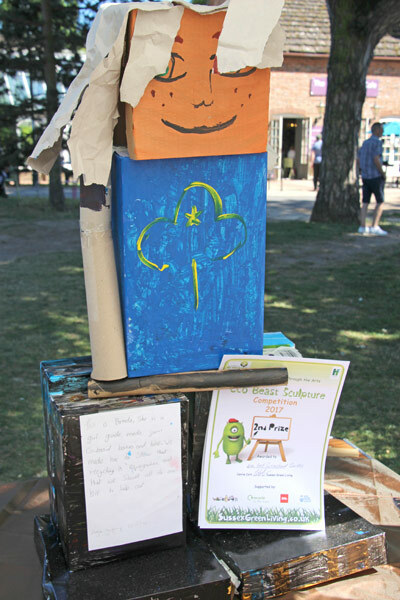 This entry was posted in Children & nature, Eco School Sussex blogs, Eco School William Penn, Events, Green art & games, Green stats, facts & news, Recycling facts. Bookmark the permalink.